Archive by category "Erasmus+ Survey"
Launch of the Erasmus+ evaluation survey 2017! On 28 May 2014 EUCIS-LLL launched a broad public consultation on the new Erasmus+ programme. On 25 June 2014, we received 52 responses from which we based the following report. The results were presented and discussed with EUCIS-LLL members and partners, the European Commission and the EACEA on 30 June 2014. 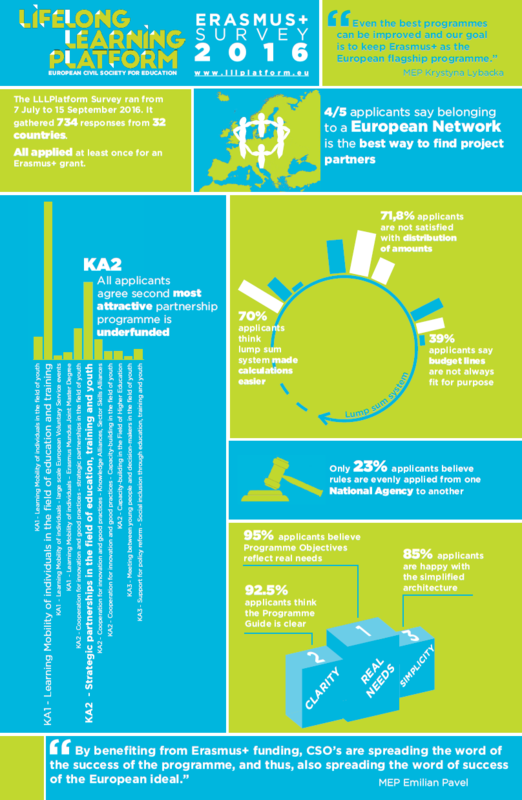 Read the Erasmus+ Survey 2014!